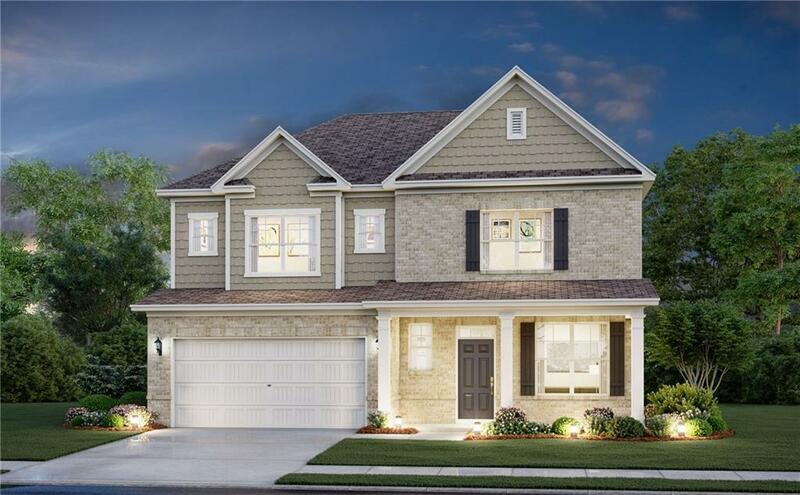 Exciting New Community in Fairburn, GA. Great location in South Fulton County, this new home sanctuary offers a scenic residential setting with spacious homesites and easy access to major thoroughfares, Fayetteville Pavilion, Downtown Fayetteville and Atlanta's International Airport. Abigale C floor plan. Open Floor Plan with Gourmet Kitchen looking into breakfast room and great room. Dining Room on main floor. Owner' retreat upstairs with spa-like bath. Additional bedrooms and laundry room upstairs as well.